Ready or not, 2018 is here. Some people enter the New Year with small resolutions while others have big plans. One of those big plans that you may be considering is selling your home. 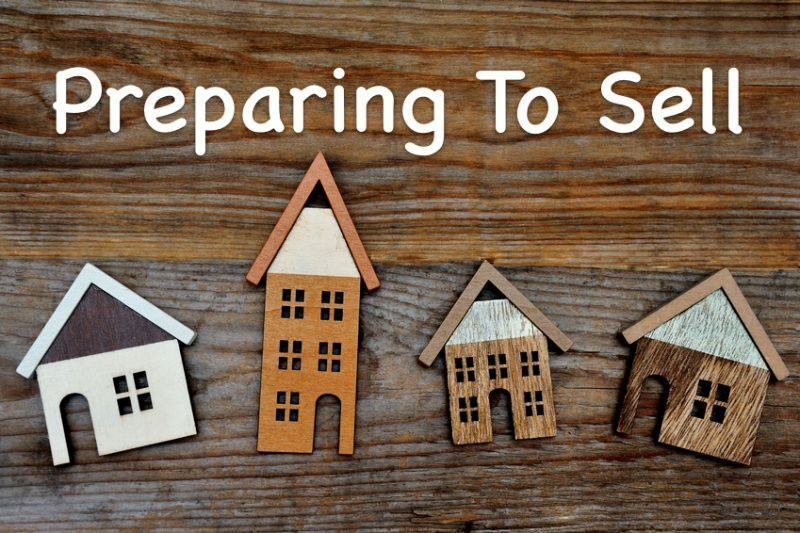 Preparing your home for selling requires a reasonable amount of advance planning and that planning needs to start now. Below are six tips we recommend in preparing your home for sale in 2018. A common tip to prepare your home for sale is to declutter. Fewer items occupying space will make it easier for potential buyers to envision their own belongings in the house while allowing your home to look much more spacious. In the winter, decluttering can be a bit more challenging because more warm-weather items are taking up space in hallways and on coat racks; and you can’t exactly host a garage sale in January. After the holidays, you may end up with more stuff so you may need to be creative with your decluttering, or even consider renting storage space to temporarily hold possessions until after you sell. Preparing a home for sale entails keeping it clean. Make that extra effort to keep your house sparkling, even on the cloudiest, wettest of days. Prospective buyers are likely dealing with the same winter blahs as you are; a warm, clean, inviting home will brighten their moods and better enable them to see everything your home has to offer. Homeowners preparing to sell often face a long list of minor repairs—non-urgent things you have been meaning to address over the years, such as that missing ceiling tile, a leaky faucet, or that extra room that needs painting. This list can become overwhelming once you decide to put your home on the market. Find some time to tackle a few of these projects before getting serious about selling so they don’t all need to be done at once. Unless you are a skier, it’s likely you won’t be too enthused about being outside on miserable winter weekends, so take advantage of nice days to focus on home repair. Your home’s roof, doors, and windows are the three areas where buyers really pay attention. Once replaced, these three provide some of the best return on investment of any home improvement project. By contrast, missing shingles, drafty doors, or cracked and inefficient windows needing replacement tend to be noticed as you are trying to sell. These items could negatively affect your selling price. If you are serious about selling in 2018, consider an upgrade—or at least repairing any problems —for your roof, doors, and windows. A fresh coat of paint is a cost-effective way to make your home feel new again. But stick with neutral tones like grays and whites, which let the best features of your home stand out, rather than going with bold colors that might not suit a potential buyer’s taste. Replacing missing tiles and re-caulking moldy areas are essential. Small upgrades, like changing out an old faucet, can brighten up the space. If your tub is looking dingy, a professional refinisher can repair dents, rub out rust spots and recoat it with a new finish. And, if your bathroom is in reasonable condition, a new bath mat, shower curtain and fresh towels may be all the sprucing up you need. Every room should have at least three points of light. That means a table lamp, a floor lamp and a task light, for example, or an overhead fixture and a couple of table lamps. A good go-to resource for inexpensive lighting is Ikea. Potted plants or a few pretty flowers in a vase can help bring energy into a space, fill in empty corners and even draw attention to features you want buyers to notice. Just make sure the plants are in good health before adding them to your décor. Storage space is a huge selling point, and if your closets are over stuffed buyers will think you don’t have enough storage space. Invest in some boxes, dividers and other solutions that will help you make your possessions look organized. That spare room you’ve been using as an office / guest room /dumping ground won’t help sell your home unless you show buyers how they can use it themselves. So pick a use (office, guest room, crafts room) and stage the space to showcase that purpose. Final Tip – Spruce up the front entrance. That first impression goes a long way. With just a moderate amount of effort, you can make your home beautiful and welcoming, both inside and out.